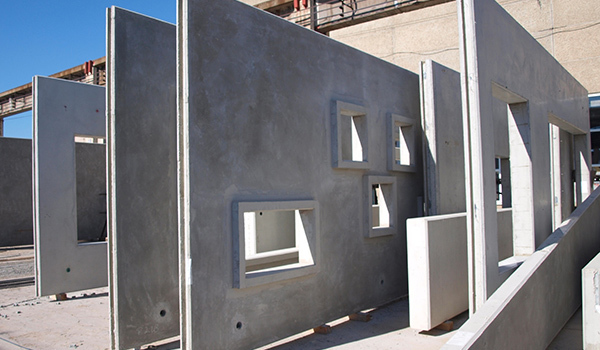 WE SPECIALIZE IN REINFORCED CONCRETE PRECASTS! FIM Komorniki k. Środy Śl. Hall buildings are designed to create the largest indoor open areas with indefinite possibilities of maneuvering and storage. 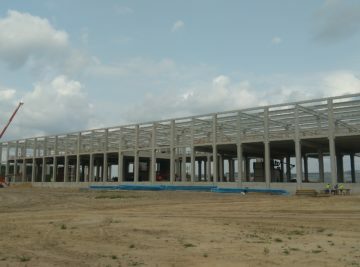 Hence, load bearing structure of factory halls and warehouse halls usually consists of prefabricated column systems, beams and girders. Also the external walls or fire separation walls are produced more often as the precast units. To speed up the construction time, sometimes spot footings and footing beams are prefabricated. 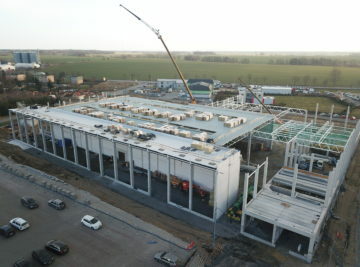 Very often in halls with a large span and significant floor slab loads TT slabs are built in to reduce the number of intermediate columns in the built facility. 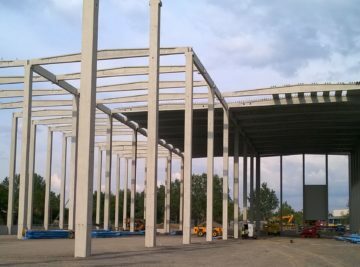 After complete disappearance of the demand for multi-plate construction in the 1990s, this type of construction has regained its lost popularity. Adjusting prefabrication to individual projects and architecture, production of elements visually attractive and with high quality, increases the number of customers especially for wall elements, balconies and stairs. Regardless of the wall construction, prefabricated floors are commonly used. The Company offers filigree floors manufactured in the Toruń production plant. They are widely used in residential construction because of the wide range of options enabling them to be used in many kinds of installations. Non-standard prefabricated elements offered by Comfort are prefabricated bathroom units produced in full module in steel forms. Prefabrication of bathrooms units allows easy installation of sanitary unit. After installation of sanitary fixtures, You will get a ready-made bathroom with all necessary installations. 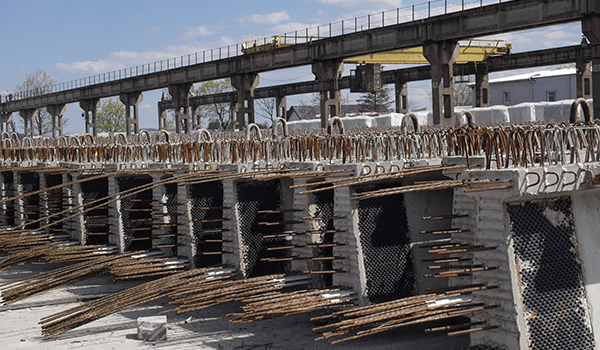 The characteristic feature of infrastructure construction is the high repeatability of structural elements and objects. 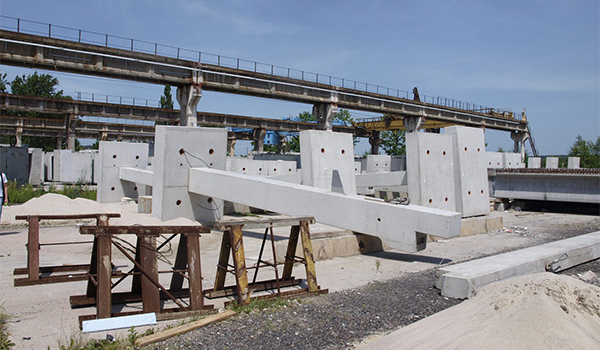 In road construction, precasts are commonly used in bridges, viaducts and footbridges or underpasses. 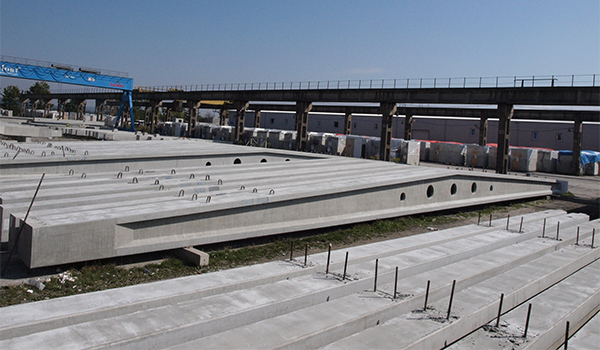 The Comfort Company offers a wide range of large span beams and a wide variety of box culverts. For the needs of bridges the Company manufactures according to individual projects also arc-shaped or shell-shaped precasts. DO YOU WANT TO LEARN MORE ABOUT WHAT WE DO?